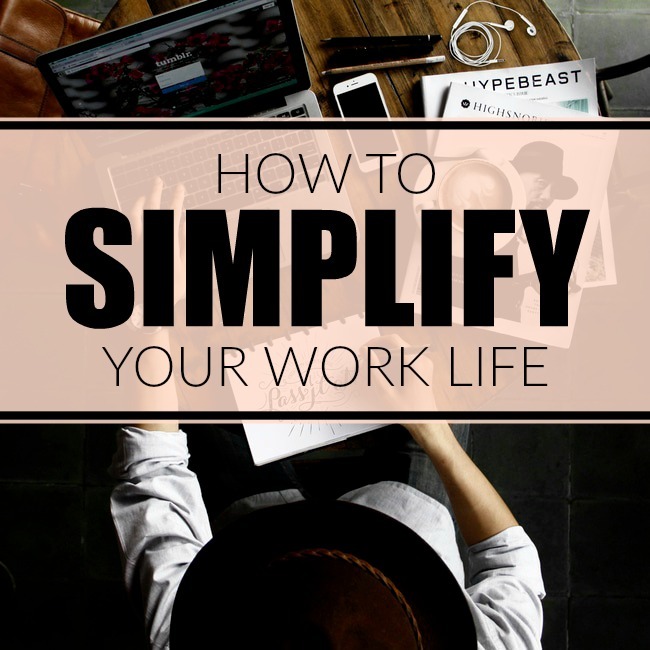 Do you know how to simplify your work life? In this week’s series of “simplifying life to bring abundance”, I’m sharing simple ways that you can minimize the stresses of your career. Who doesn’t want that?! To extend my mini series focused on simplifying life, (part 1 and part 2 can be found here and here) I’m switching gears and talking about our jobs. Yes, simplifying our work life can also bring massive amounts of abundance. If you finish reading this article with only a few takeaways, I hope they are to see the importance of working smarter not harder, and to focus on the word “simplify” when it comes to your schedule, your activities and goals. In my article on making your morning explosively productive, it was common sense mixed in with very workable ideas: get prepared the night before, go over your to-do list, visualize any possible obstacles and turn them into probable opportunities. If you want to make your entire work flow more productive, read on and learn how to simplify your work life! Pare Down Your Goals: When you’re planning your work goals, keep in mind that they only are successful when you take ACTION. When you have too many goals in place, it can become very hard to implement them all. You may end up with frustration and lose the creativity needed for each one. Keep things simple! 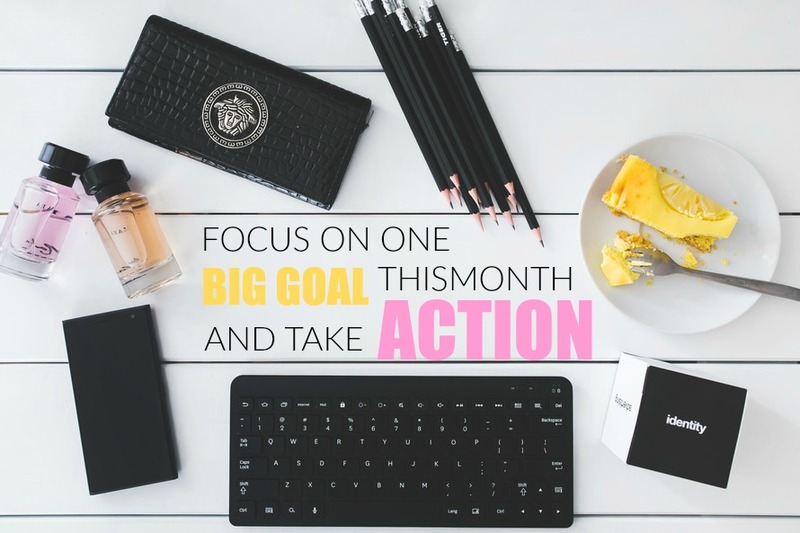 For one month, try concentrating on one goal. Give it all you’ve got! Each day when you go over your list of tasks, you need to ask yourself what you are going to do that day to move forward with this goal and DO IT. If you’re new to this, it helps to start out with a short term goal (1 – 3 months) rather than longer term in the beginning. Brainstorm on how you will accomplish this goal; put your goal in powerful words that you can carry around with you on an index card; and find ways to stay motivated and on task by remembering why you picked this goal: is it a passion of yours, or will it set you on a course of making a big difference in your personal or business career? Stop adding 10 extra tasks to your to-do list: By focusing on one goal at a time, you’re allowing yourself to give 100% effort. With that said, you can’t do it all. You simply can’t. As an entrepreneur, you’ll find yourself adding tasks to your daily to-do lists constantly. If you don’t focus on your top priorities each day and accept that not everything can be completed when you want to, you will be able to experience a greater sense of daily achievement. Not to mention at the end of the day (set hard stop times for yourself if you need to), you’ll be able to become more present. Use the commonly known 80/20 rule. Work on the parts of your business or job that create the most significant impact (20%), and filter out or outsource the minuscule administrative tasks. Stop multitasking: For many, it can be hard to multitask and more times than not, the task ends up not being finished and pushed to the bottom of the list. Focusing on one task at a time will help you become more committed to (which will lead to more productivity) what you’re working on instead of thinking of 5 different tasks at once. Think about automating your income: This could be a long term goal for you, but definitely one to consider. Automating your income creates passive income, which then creates less daily management on your part. End result? A simplified working schedule and business that generates on its own. Take frequent breaks and space out your daily work tasks: If you schedule your to do list or work meetings back to back, you may end up feeling frazzled and stressed running from one thing to the next. Space out your tasks and commitments so that you have time to reset yourself mentally and physically. Not only will it help you fully engage and commit to the task at hand, you will flow through your day with more ease. Limit communication: Some of you may read this and think, WHAT! But my whole job is to communicate! Hear me out: if you are spending majority of your day responding to emails, scrolling through social media, messaging friends, setting up calls, consuming media, then when are you going to find the time to make big daily impacts and development with the work that’s most important? To simplify your daily communications: try checking email twice a day at set times. Schedule phone meetings and calls one day a week (even if this instance takes up your entire day, you have the rest of the week to focus on big parts of your work). Get organized with scheduling your communication so that it doesn’t take over other priorities. Keep your working space CLEARED: Just like a cluttered home could distract, so can a cluttered desk or office. Keep your working space organized, neat, and keep papers to a minimum. When you are working in an environment that has a minimalist vibe, you can limit distractions. Plan Your Healthy Meals and Snacks for the Week: In order to be productive and focused, you need to be nourishing yourself with foods that fuel your body vs. making you fall into a mid day slump. One of the best ways to simplify your work life is by balancing other areas of your life. Make your plan over the weekend and prepare your meals before the work week starts. Make it a goal to spend less time on meal prep every day and more time on the goals that are important to you! Whether you have a home office, or corporate office, the goal is to not spend time figuring out what you are going to eat each day. You don’t want to find yourself in McDonald’s because you didn’t plan ahead. If you are packing lunches and snacks to take with you, make sure you have mason jars, empty glass jars/lids, safe plastic containers and insulated bags for grab and go. Pre-packaged lettuce is one way to go. Just add chopped veggies (prepared ahead of time) and you have a quick salad for lunch or dinner. Soup is one thing that is great to make in large batches and freeze extra. Whether you are vegan, vegetarian or a flexitarian, there are tons of wonderful recipes available that are easy to make. What are you doing this week to simplify your work life? Share with me in the comments below or by tagging #balancedbabe on your Instagram or Twitter!